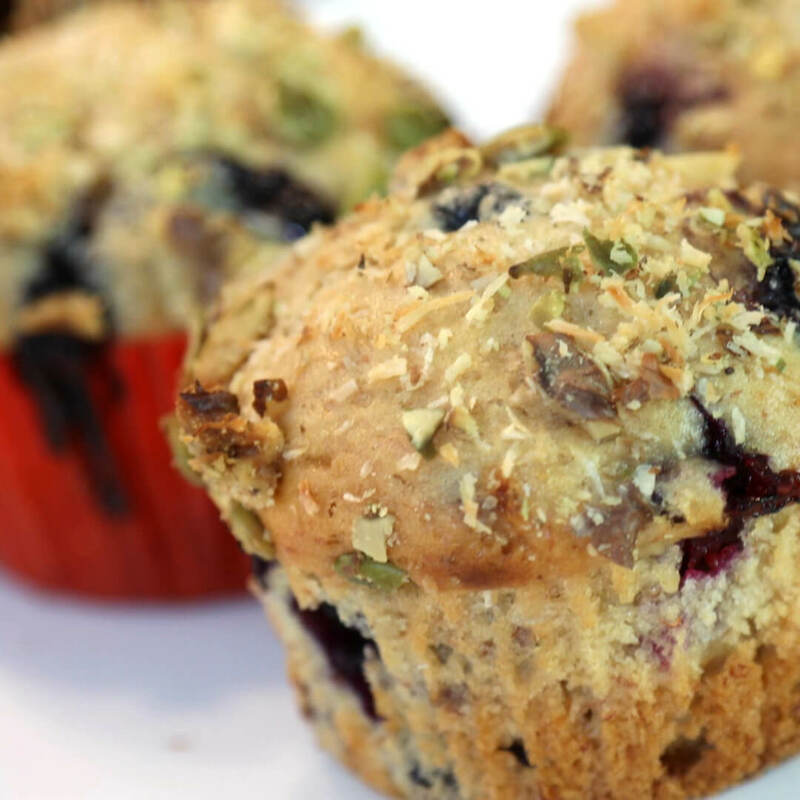 Whether for breakfast or an on the go snack, these moist blueberry muffins topped with coconut, walnut and sunflower seeds are sure to keep you satisfied. Combine the Royal Sharbati Atta, all-purpose flour, brown sugar, white sugar, salt and baking powder. Add in milk, mashed banana and oil and stir until well mixed. Mix in blueberries briefly. Grease 12 muffin cups or line with muffin liners. Divide the batter into 12 muffin cups and top with ground walnuts, shredded coconut and sunflower seeds. Bake at 400°F degrees for 17 to 20 minutes.